Today, we're shining the spotlight on a title that celebrated it's bookish birthday earlier this month with much pizzaz and finesse. *smirk* Okay, well there was definitely SOMETHING different about it that made it an arrival to remember, and I intend to bring that not-so-hidden sparkle to the forefront today. 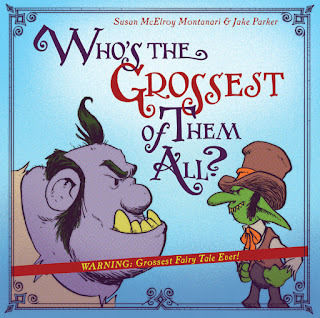 Ladies and gents, kids of all ages, cast your manners and best hygiene practices aside for just a moment as we introduce today's wooly-bully book of choice..
Who's the Grossest of Them All? A goblin and a troll stand face to face in the woods, just off the well trodden path and to the left of a bridge...basically steps from either's home turf. They are in a stand off of sorts, but don't let their GRUSOME, GROTESQUE exteriors put you off. Ignore the food between their teeth, the dank smell in the air, and their ability to scare you right off the road with their hardened glares. Yes siree, ignore all of the above because though they COULD be out to get you and yours, they are actually trying to out gross each other. They are in a "battle" to see just who should wear the proverbial crown for "Grossest of Them All" and though many votes are in, the final results are going to blow your mind. After all, none would dare deny either of them being labeled as quite gross, but the TRULY grossest of them all is going to come skipping along out of the blue with a basket of goodies...and one of the GROSSEST HABITS you ever did see. Note to Grandma....DO NOT EAT THOSE COOKIES! Recommended read for all ages, from the tall to the small. Special thanks to Josh at Random House Children's Books for the ARC for review. (THANKS!) For more information on this title, the author, the illustrator, or the publisher, feel free to click through the links provided above. This title is available now via Schwartz & Wade, an imprint of Penguin Random House, so be on the lookout for it on a bookstore shelf or virtual retailer of your choosing. 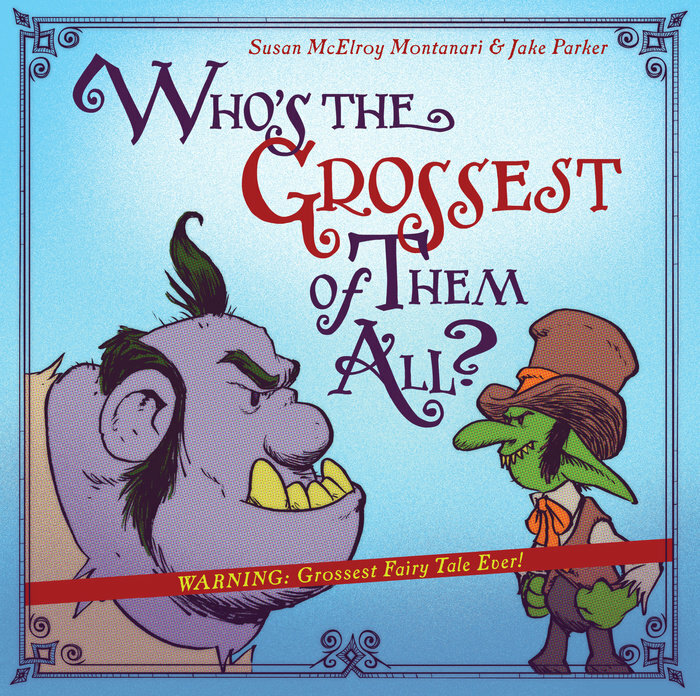 Loving the idea of a goblin and a troll trying to out-gross each other. An ex-teaching assistant, the number of times I've seen little boys try this.